So you may have heard that everything shuts down on Christmas Eve in Prague and the Czech Republic. Totally true. Christmas Eve is the only day of the year we do not run our Prague Foodie Tour, and the biggest holiday on the Czech calendar: most people stay at home with their families, only for things to revert back to some degree of normality on December 25, and fully on December 27, which is a regular working day. Which means if you want to eat out on Christmas Eve, options exist, but are limited. And if you don’t have a booking already, you should act now. Okay, don’t panic: restaurants, especially in the historical centre, will be open and cater to tourism, but if you want to be smarter about your Christmas dinner plans, here’s our Prague Christmas dining guide. Just like towards the end of any other year, the hottest question any foreign visitor - or a local for that matter - in Prague should ask in this cold weather is… where do I eat on Christmas Eve? What do I do on New Year’s Eve? Will the restaurants close for the holidays? You see, while Czech may be statistically one of the most atheist societies in the world, we still do celebrate Christmas and nearly everything shuts down for Christmas Eve especially. Which means that if you are hungry on Christmas Eve and don’t have a reservation or don’t like hotel restaurants or gas stations, you will probably stay hungry until Christmas Day. Don’t get us wrong. We love Christmas. But organizing Christmas Eve dinner (the main event of the holidays here in the Czech Republic) for the family? A nightmare. Finding all the ingredients (while still doing last-minute shopping because the presents for you that you’ve just found out about are way cooler than yours), stressing about the family members arrival times and seating orders, cooking the meals while constantly cleaning the mess because we’re running out of time and omg they’re here already?! No, not again. Thank you very much. That’s why we actually decided to make a change this year and go out for a nice, relaxed Christmas Eve meal. Having met with the parents a few days later (they spent Christmas outside of Prague), we just planned two things for December 24: a visit to Zuzi’s sister and her boyfriend, and a Christmas Eve dinner at Aureole. We kinda like Aureole. Although seated in a building Zuzi lovingly likes to call “The House of Evil” (she used to work there), Aureole is our secret tip for a “restaurant with a view”, a very popular category here in Prague that still deserves a proper representation in the centre. In the centre Aureole is not, but boy - you do get a view. Coincidentally, it also served what we thought was the best Christmas menu of all the restaurants we contacted before the holidays to compile our piece about dining in Prague over the holidays, so we decided to go. The place was completely empty at 5pm, the time of our reservation. Another couple arrived shortly after us, and the restaurant was half full by the time we were leaving past 7pm. The staff indicated that they were booked out later that night. We were surprised to see mostly local families dining there. Still, the decor is quite striking at night, and the view is great. Zuzi’s grandma would faint if she had learnt that Zuzi ate meat on Christmas Eve (that’s a big no no in her family) so she opted out of the meaty amuse bouche, roast dear with cranberry and apple jellies and gingerbread reduction. Instead, the kitchen prepared a pair of veggie California makis. One word about bread. We have to say it out loud: the bread served in Czech restaurants is seldom little more than the pre-baked stuff you can buy at any supermarket. Aureole is no exception to the rule. We hope things will change soon for the better. The first course was the fillet of South Bohemian trout smoked in beech with horse radish mousse and lemon jelly. We liked the flavors but the trout was quite dry inside. We had a very similar entree recently at Mlynec, a restaurant we wanted to try after it reopened after the summer floods, and Aureole’s version was slightly better. The flavors were there and the horseradish blended nicely with the lemon jelly and the smokiness of the trout, but the texture of the fish was simply dry. We followed with the fish creamy soup and butter croutons. Nice presentation, as always at Aureole, and the flavors were right. Again, nice smokey flavors from the salmon and the roe added a nice textural touch. We both liked the soup. The next course was the mushroom “Kuba” (basically a barley risotto with pork fat with grouts and mushrooms) served with roasted “wine sausage”. Zuzi did not have the sausage, of course, but we both liked the dish. The sausage was very mild and ground almost to mousse texture inside. The “kuba” had a strong mushroomy flavor and a great texture. 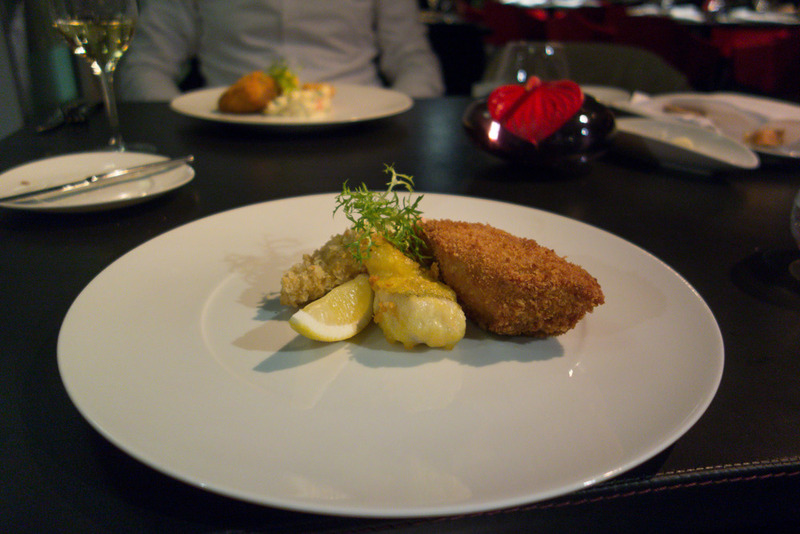 Finally, the main was a Czech Christmas classic: fried carp with potato salad, this time breaded in Panko breadcrumbs and served with fried zander in wine batter and with fried roe. Out of the meats, we would have assumed that carp would be our least favorite but we were wrong: we absolutely loved the carp. It was cooked perfectly and packed tons of flavors (the good ones). The potato salad was good but hey - it was not grandma's. 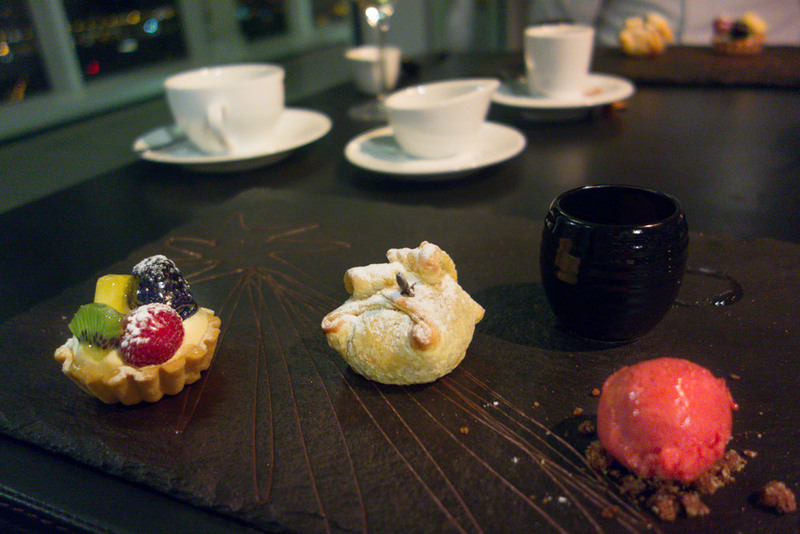 We loved the trio of desserts, too: a tartlet with forest fruits, an apple baked in puff pastry and gingerbread-strawberry sorbet, finished with warm (milk) chocolate. We liked the baked apple the best. Jan had coffee. Aureole serves Nespresso coffee. Obviously, coffee is not a priority over at Aureole but let's be honest: fine-dining restaurants generally tend not to focus on coffee. La Degustation clearly took a bold step when it started serving drip coffee over espresso but it's an exception. All in all, we really liked our Christmas Eve dinner at Aureole. The price for the set menu was CZK 890 (about EUR 33) each. With wines (incl. the lovely New Zealand Marlborough Cellar Selection Sauvignon Blanc), we paid about CZK 2,500, which we think was fair. As an added bonus, we received carp scales (pictured), which bring good luck and prosperity according to a Czech custom. Nice touch. Tis the season to... talk about shopping, obviously. Don't get us wrong: we love Christmas and all the good things it brings: seeing family and friends, eating all the Christmas cookies (more on that later), watching fairy tales on TV, opening a bottle of wine and simply having some quality time. However, when it comes to shopping for gifts, many things can go wrong, especially when you shop abroad, and especially when you are walking along the beaten path. So, in an attempt to steer you in the right direction, we bring you our annual tips for some of our favorite Christmas gift ideas. Now, what we did here is we imagined what we would have loved to get if we were your family members or friends. In some rare cases, we assumed you had an unlimited budget. But mostly we just wished for something cool and reasonably priced. However, we always picked something we thought really represents where the Czech Republic stands right now and where it comes from. Notable omissions include: Russian dolls of any kind, "My dad was in Prague and all he got me was this stupid t-shirt" shirts, overpriced glass and fake garnets. We have also set some imaginary categories of family members and friends for your convenience. Enjoy! After a long pause, Fatra, the original manufacturer, has recently resumed the production of the classic inflatable toy designs by the famed toy designer Libuse Niklova. We had so much fun with these when we were kids. No trip to a pool was complete without these inflatable animals. Oh, we can still smell that rubber. 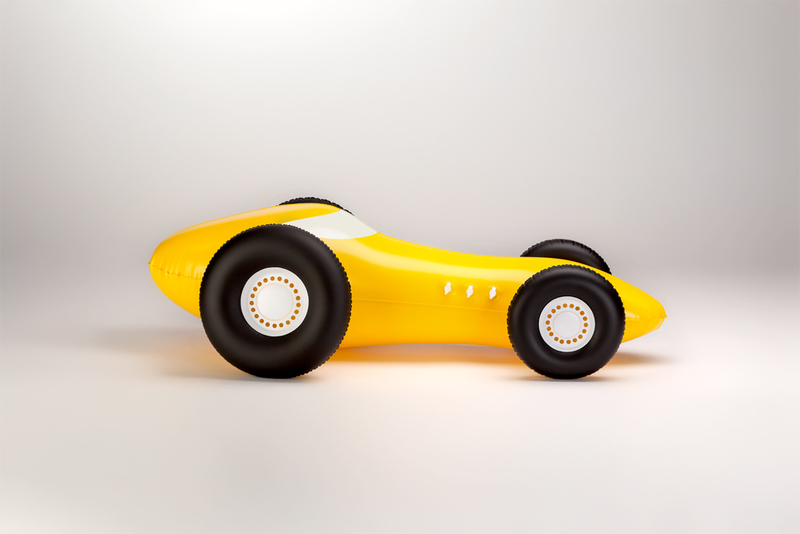 Now you can buy a piece of modern design history and bring it home to your little ones. Just like us, they are going to love it - guaranteed! If you wish to learn more about Libuse Niklova and her work, we recommend that you buy her work’s catalogue compiled by her son. Where to buy? In the Guma retro shop at Jecna 24 street or online at their website. If you wish to shop for children in a regular shop, we recommend that you visit the beautiful Ookidoo shop near the National Theatre or Space4kids, another cool shop for kids near the Hradcanska subway stop. Oh, how we wish these shop had existed when we were small! We have already written about these a while ago but they still remain a great gift in our eyes. And with their factory store just a few steps off the Municipal House and the Powder Tower, there is now no excuse for not buying a set of these for an elementary school student. Just a quick tip that... ehm... "adds value": just screw the mechanics out of the metal casing, and you get a spit gun as a bonus (here’s an old school class recipe: just take the casing, punch one end through the peel of the orange you ate during recess, blow into the other end and - voila - you get an invitation to the principal’s office). In addition to the mechanical pencils, the store sells lots of leads, brushes, fantastic set of colored pencils and other accessories and tools for the aspiring artist. Where to buy? The Kooh-i-noor design shop at Na prikope 24 street. From disappointment 30 years ago to hipster accessory today: when we were young, a pair of Botas shoes was a bitter wake up call from our dreams about wearing Adidas and Puma sneakers. However, with their new, retro “Botas 66” fashion line, Botas made a huge splash about five years ago, and a pair of the bright-colored sneakers is now a must-wear item for all Czech hipsters and the like. Still made mostly by hand in Skutec, Czech Republic, the Botas retain an old-school feel but add modern, colorful design, high quality materials and good craftsmanship. Where to buy? JB Sport at Dlazdena 3 street has a very small selection but boasts a great, central location. For a proper assortment, you’ll have to travel outside of the centre to Artis - Botas shop at Radlicka 11, Prague 5. If these are not your cup of tea, you can also check La Gallery Novesta selling Novesta shoes and some pieces by Leeda, or you can visit our favorite Kurator or Debut Gallery for the wonderful Cutulum shoes. 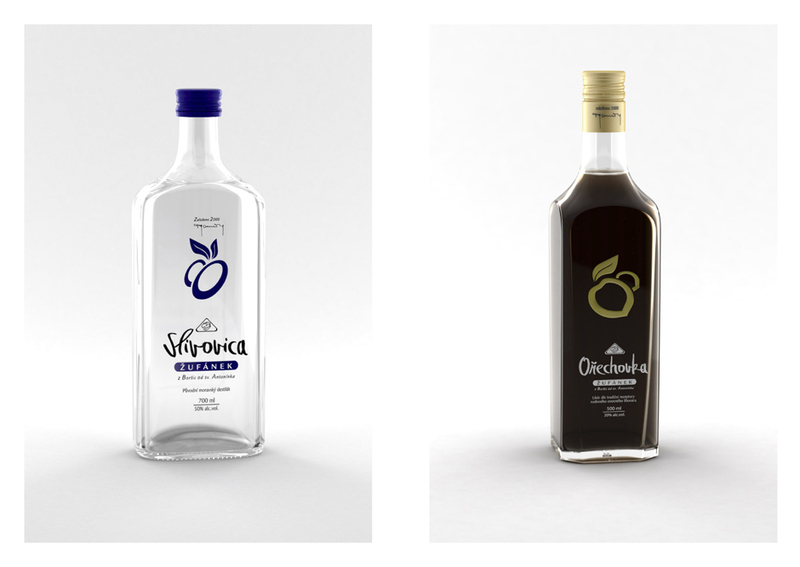 Hailing from Borsice in the Slovacko region of Moravia, just about two miles from Zuzi’s birth village, the slivovitz (plum brandy) made by the Zufanek distillery comes as close to the real thing as possible, and is the best slivovitz money can buy today. Yes, “the best stuff does not have a label”, as Mr Fric, a famous Czech chef, says to glorify Czech moonshine, but Zufanek comes very, very close. If you do not like Slivovitz, Mr Zufanek’s family also makes brandies from other fruits: pear, sour cherry, apricots, juniper, even walnuts. Where to buy? Sklizeno foodie market has a nice selection in different sizes, as does the Bartida shop and bar. Following up on a tradition dating back to the 13th Century, Ms Tomiskova and Mr Jandourek, two young Czech designers, founded the Dechem studio in 2012 to “tell new stories in Bohemian glass". Their lamps and tabletop decorations immediately caught the attention of many design fans all over Europe. Be ready to splash some serious cash for their creations but their products are truly beautiful and forward-thinking. We would love this as a gift. Anyone? Where to buy? The Qubus design shop in the Dox Centre for Contemporary Arts, the Debut gallery, one of the great Artel shops and the Kubista shop. Who does not love the smell of paper? We certainly do. When combined with clever design, we think a piece of modern stationery can be a great present. Our favorite Czech stationery designers include Papelote, which has been on the market for a few years and sells everything from envelopes to folders to diaries and notebooks and, importantly, wrapping paper, Paragraph, a young independent studio seated in the Zizkov district, and VOALA. Where to buy? Both Papelote and Paragraph have their own shops (see their websites linked in this paragraph). In addition, Paragraph stationery can be bought at Page Five, a recently opened independent publishing house with a shop that sells everything from books and magazines to stationery and posters, and in our favorite Kurator. Do your loved ones love coffee and design? Why not combine the two? The Chemex coffeemaker, although not Czech, is a beautiful object by itself that will double as a decorative piece in any kitchen. Use it to make drip coffee from beans roasted by Doubleshot, the Prague-based coffee roasters who supply coffee to almost all the good cafés in Prague. You can buy a tasting set of three different coffees of your choice from their assortment. Where to buy?Muj salek kavy, one of the most popular cafes in Prague, is the flagship café owned by the Doubleshot roasters. In addition to delicious coffee and cakes, you can buy all the props to make great coffee at home. The installation of lamps by Brokis, based near Jihlava, Czech Republic, was one of our favorites at this years Designblok, the annual design show in Prague. Combining the creativity of young designers and the beauty of high-quality Czech glass, the lamps offer some striking designs. So good they were features in a recent Yves Saint Laurent video! Our favorites include the Shadow and Muffin lamps by designers Lucie Koldova and Dan Yeffet, the Capsula lamps by Lucie Koldova, and the Balloon lamps by Boris Klimek. Where to buy? The easiest way is to inquire for Brokis products at their website. They have stockists all around the world and are sold by several online shops. Try to google them. What woman does not like shiny things? 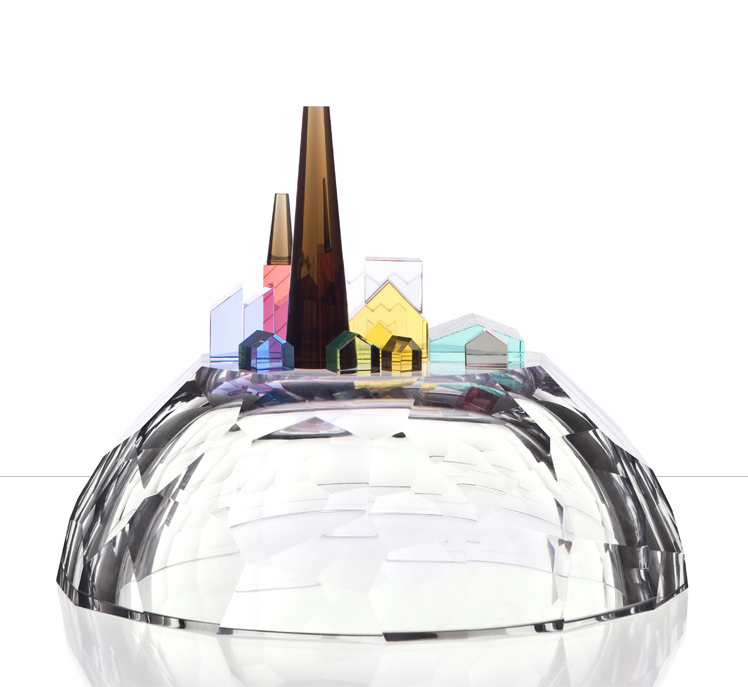 The Czech Republic has recently witnessed the rise of many talented designers, ranging from the more traditional (e.g. Belda) to the more daring. These might not be to everyone's taste but are surely going to get everyone's attention. 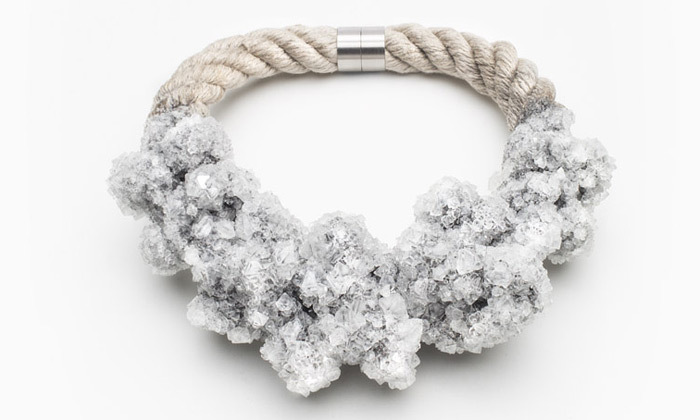 Our favorites include Zorya with their Virus collection, Janja Prokic and her Le Grand Jeu collection, Antipearle pearl-based jewelry with an edgy look, and Blueberries 3D-printer based designs. Where to buy? Zorya can be bought in their Letna-based studio (by appointment only), in the Dox by Qubus store and the Simple Concept Store. Janja Prokic can be had in the Debut Gallery, Antipearle sells its products in its showroom at Janackovo nabrezi from 10am to 6pm from 18 to 23 December, and Bluberries pieces can be bought online at their website, in the Leeda shop and at Modernista. Czech wines have been getting very good recently and although they are mostly known for whites, you can find some good reds here, too (although they will never have so much body as an Australian cabernet). And is there a better way to enjoy a good red than from a designer carafe and glasses? No, we didn't think so. Czech designers have always designed really nice glassware for wine and food alike. The glasswares by the Olgoj Chorchoj studio, Rony Plesl, Martin Zampach or the LLEV studio are among our favorites. Use them to devour a glass of some of our favorite Czech reds: the 2009 Shisar by Mr Zapletal, the 2009 Neronet by the Prague-based winery Salabka, or the 2009 Trkmanska by Stapleton Springer. Where to buy? The carafe at Hard-De-Core, and the wines at the Vinograf wine bar. Both can be found at the Senovazne namesti square in the centre of Prague. Lugi, the Czech manufacturer of modern design furniture such as our "when we grow up, we'll buy this" table, has found an ingenious way of putting that excess material resulting from their manufacturing process to good use: create a line of kitchen accessories and tableware. Their wooden trays, cutting boards and salt and pepper grinders are really cool, beautifully made and sport nice minimalist designs. Where to buy? Pavilon. the furniture and design complex at the Vinohradska trance market. Made in the Kbely district of Prague, these designer chocolates and pralines are the joint creation of Melinda and Geert, a couple that relocated to Prague after the Hungarian-born Melinda quit her job, met Geert in Belgium and decided to make artisan chocolates as part of her creative urge. The pralines and chocolates are beautifully decorated and creative and are made from high-quality ingredients. Where to buy? Online at their website. For perhaps a more accessible alternative, have a look at Jordi's chocolates at the Sklizeno foodie market at Vodickova 33 street. Well, this is just a short selection of things we really like. The list could be much longer of course, but for more ideas, we'll send you to our favorite shops instead. We are pretty sure you'll find your perfect gift there. Harddecore - A wonderful gallery/shop with a great selection of Czech design with many things made specifically for this place. Kurator - One of our favorite shops in Prague owned by lovely and friendly couple, Martina and Jan. They will do their best to help you find a beautiful gift (and probably feed you, too). La Gallery Novesta - This beautiful concept store carries pieces by many great Czech fashion (and other) designers such as Zuzana Kubickova, Jakub Polanka, Katerina Geislerova, etc. Your better half will be very happy to see you've picked something for her there. Futurista - This unique space has a great selection of the best of Czech design, art books, jewelry and architecture. Ingredients - We bet this is the nicest smelling shop in Prague. You can spend hours in this wonderful perfume store, but anything you pick from perfumes, candles to cosmetics will definitely bring a smile on the face on the receiving end. Panska Pasaz - Imagine 10 great shops under one roof, all carrying great gifts for men. From great watches, ties and shoes to quality whiskey and cigars. As a bonus, you'll find a popup store there until Friday, Dec 13, featuring the talented Leo Macenauer and beautiful bags by Playbag. Well, this concludes our annual list of Christmas presents from Prague tips. If you are missing something or are looking for something specific, let us know! With a bit of exaggeration, food is what Christmas really is all about. That's the time to spoil yourself, then spoil yourself again and then a little bit more. When at home, there is usually plenty on offer to satisfy your cravings. But where to eat when you find yourself in Prague during Christmas? Well, we've put together our favorite places offering Christmas treats such as Christmas cookies, delicious ham, great roasts, sparkling or mulled wine, etc. 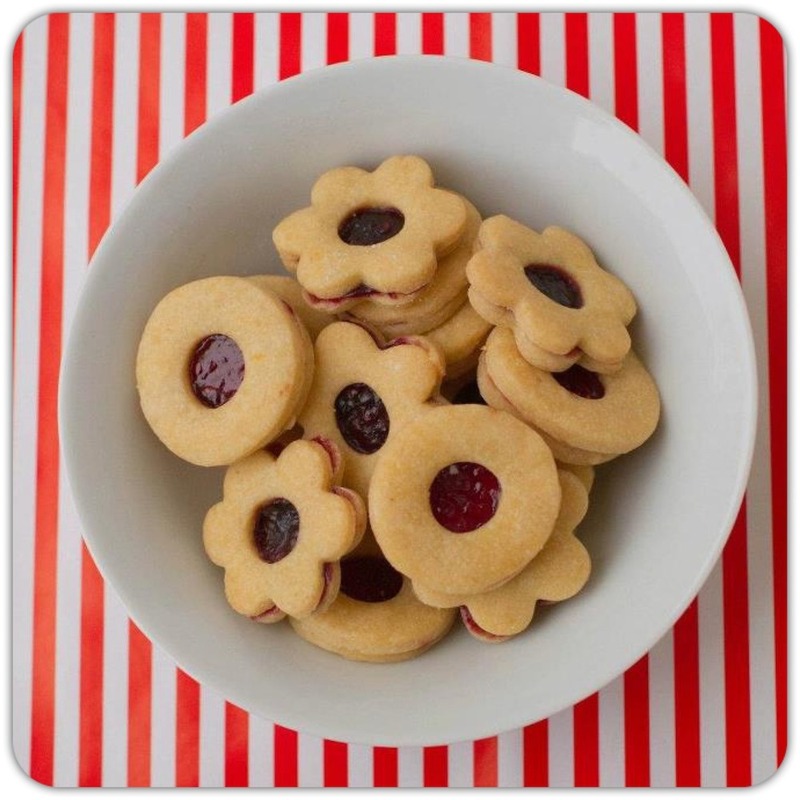 - after all, it just wouldn't be Christmas without these - and we want to share them with you.